A new day is breaking but the sun has not yet graced the sky. Bubs has been in time-out twice already for throwing toys, one which narrowly missed his sister’s head. Joy is on the floor having the mother of all meltdowns, desiring to rifle through every kitchen drawer and play in the trash. Instead of reflecting the character of the Proverbs 31 woman I long to be, I snap. I yell or in my case, ROAR, like a lion and unleash pent up mommy anger on my mischievous babies. Then, I do the mature thing; I sit in the floor and cry and wonder how motherhood has gotten the best of me. Mommy anger has won again. But it doesn’t have to be this way, moms. We CAN learn, even as a frazzled and stressed out mom, to manage our emotions and guard our hearts (and our children’s) with these simple steps. My kids are small, so fleeing the scene of the crime isn’t an option, no matter how tempting that may be. Taking a minute (ok, sometimes 5!) to catch my breath and pray helps me to face their darling faces again. If you can’t leave the room and risk the kids getting into more trouble, simply turn away, take a deep breath and recite your favorite verse. I often claim, ” …the joy of the Lord is your strength,” Nehemiah 8:11. Focus on the truth not the lies. Satan will use the lies we tell ourselves as weapons against us. The negative labels we give ourselves are NOT Truth. We are NOT defined by how we acted, no matter how poorly, in the moment. Instead, identify God’s Truth in who you are: forgiven, cherished and accepted. Do NOT give Satan the victory by claiming his lies as truth! Is there anything practical you can do to turn your day around? If I take an honest look at the situation, I may see that there is something I can do to change the chaos around me. Maybe I need to stop and play with my kids if they are desperate for my attention. Maybe (gulp) I need to change my my attitude. Sometimes, the only thing I can change about a situation is me. I am the only one I have control over. 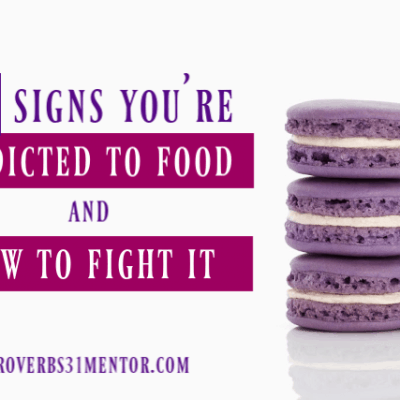 As hard as it is change my ugliness in the midst of a mama roar, with God’s help and the new course, 7- Days to a Less Angry Mom, it is possible learn to practice self-control. This video course is what every busy and worn-out mom needs to help her keep emotions in check and to manage moments of stress with grace and poise. —7 video classes (10-18 minutes each). —7 homework packets (over 50 pages of material to help you work through your own emotions and home situation). —Access to a private Facebook page for encouragement and accountability (where you can openly and honestly share your mom frustrations and joys). Plus, taking steps to correct your heart on this issue will free both you and your family from the bond of mommy anger once and for all. I KNOW you want to conquer these demons, too, friend. 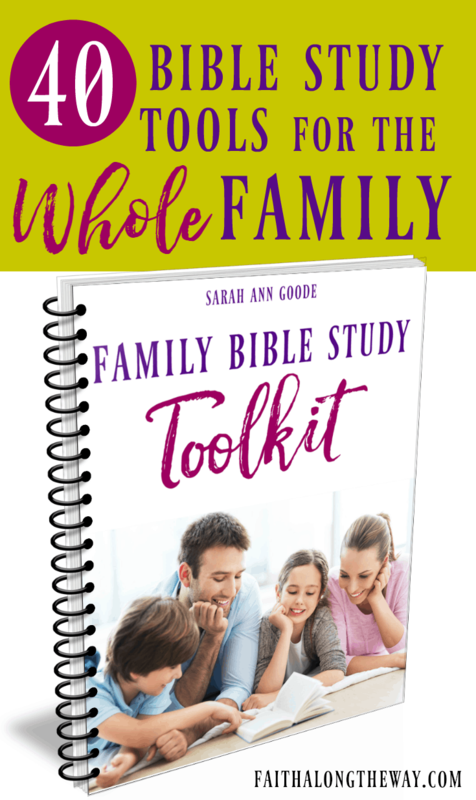 This course is a must-have for all women who’ve ever wondered if freedom from mommy anger is possible. As a Christian mom, I strive to be an example of Jesus, but when I fail, I need to be the ultimate example of humility. I need to humble myself, get down on their level and ask for forgiveness for behavior that in no way resembled Jesus. One of the most difficult parts of a mommy meltdown is the guilt and shame that comes with lashing out at my kids. When I confess my sin (and yes, it IS sin!) to the Lord, He is quick to forgive and casts it as far as the east is from the west, even when I struggle to forgive myself. Don’t let pride stand in the way of getting help for your mommy anger. 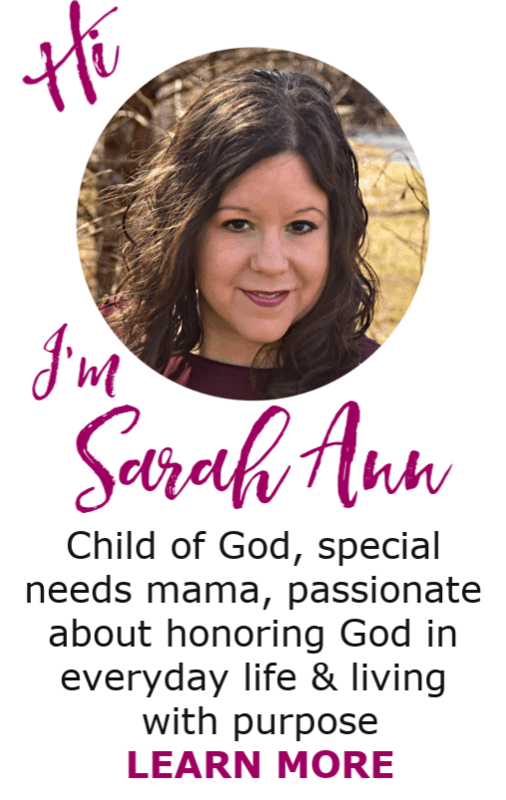 Join the group of women pledging to work on our mommy hearts in 7 Days to a Less Angry Mom and keep pointing those little hands and feet to Jesus with a renewed and self-controlled spirit. It IS possible! 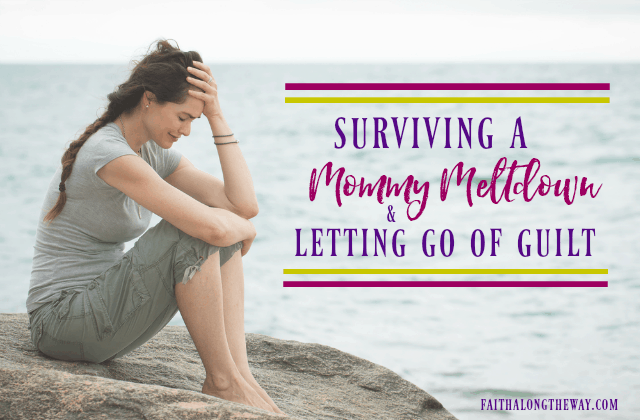 How do you handle a mommy meltdown? Don’t beat yourself up. As Mother’s we have a lot on our plates. All of us have lost it more often than we would like to admit. God is a loving God & when we come to Him in submission He not only forgives but gives us strength to carry on & shows us a better way to deal with our frustrations. It sounds like both the kids were really testing u this morning. Remember that u r loved by many & we are here for u. Thanks for the support and encouragement! It means the world to me! I feel like that many days! Mine aren’t as small as yours, but they sure act like it. God knows your heart and how you want to be. He knows your limitations, but I think we need to turn to Him more often than we do. You are so sweet! THANK YOU for the encouragement! I am truly a work in progress but am so thankful that His grace renews and restores this worn out heart. I look forward to visiting your site soon! Many blessings! Awesome post! I’ve been there, I imagine we all have. I remember the bathroom as a sort of oasis where I could just run in there and get on my knees and beg God to intervene in my day and with my mood and bless me with patience! Little hands were stuck under the door and there was knocking and ‘When ooo comin’ out, mommy” and things like that, but it was the break I needed. Sometimes all I could do was a whispered prayer while trying to subdue a screaming toddler, lol! I love the reminder to forgive yourself and give yourself grace, and to ignore the lies and remember the truth. 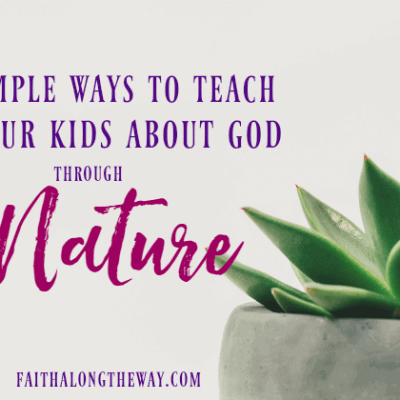 We all need to turn off that tape recorder in our heads that tries to tell us we’re a bad mom and focus on the truth of who we are in Christ. Thanks for hosting the link up and for having me! I’ll be back and share the word! I laughed out loud when you talked about little hands under the door. They do that ALL the time! 🙂 Have a blessed week! I remember the days when mine were young. I was not fortunate to be at home with them, but I remember how our evenings were often so hard, it seemed like all I did was raise my voice, after having worked long hours and not feeling like I had enough time to be the good mom. Thank you for sharing these tips over at The Weekend Brew! Thanks for sharing! 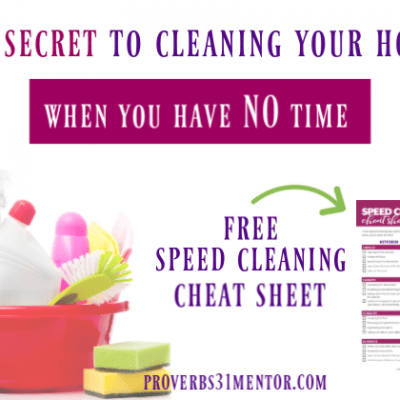 I think it is a struggle of all moms if we are willing to be honest with ourselves. Thanks for hosting the link up! I’ll be back! Good for you. 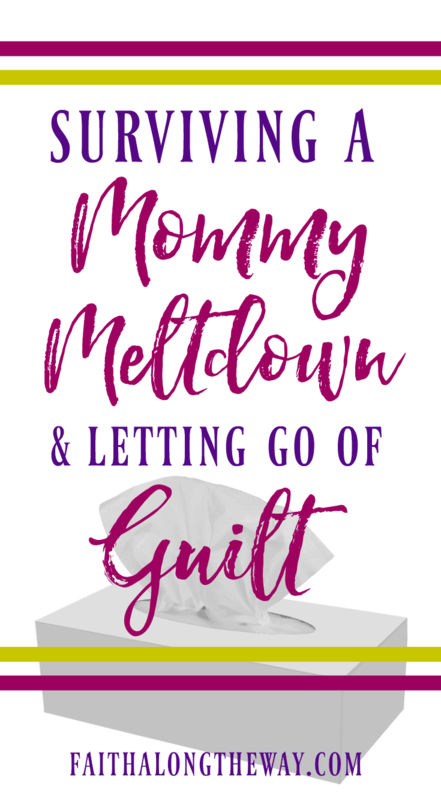 I believe that all mommy’s have had a meltdown at some time or another during their parenting life. Yes they do!! Have a wonderful day! I totally get this! This is great advise! We really do need mercy and grace each day for ourselves and our children! So often I see myself in them and as I learn to be more compassionate and forgiving for myself, I am able to pass that on to them. Going on little adventures with my kids has been a game changer on tough days too. I think when our kids know they are loved, there is so much room for mistakes as we learn together. Thanks, Paula! I love the idea of going on little adventures or doing something fun when the day has been tough. I will have to try that! Thanks for stopping by! Stopping by from the capture your journey link up. I added your link party to my page. Anyways, I have these meltdowns more often than I would like to admit. I have an almost 14 month old and an almost 4 year old. I have only had a few breaks from the kids for about 4 hours twice since my youngest was born. I think I am overdue for a break because my mommy meltdowns have began to come much to often. Even though I need a break I would not change the fact I get to stay home with them. I do love it, and I believe it is what God wants me to do. So when I have one I too make sure to let my kids know I was wrong and I give lots of hugs and kisses. I try to remind myself that my kids are just wanting my attention or just being their age and that I need to do something fun with them for a while. Usually if we spend a little quality time together we all feel better. I can’t really think of anything you have not listed here but if I do I will come back to let you know. Thanks for the list, it will help. You ABSOLUTELY need a break! I can understand perfectly, since I too have very limited breaks from my kids. It is so hard to add a new baby to the family, too, so that only adds to the stress. I’m thinking of you! Hang in there! Mary Hill recently posted…Linkup : Weekend Wind Down Party! Wonderful post. I’ve definitely been there! Great post! We all need this reminder. It’s hard sometimes but worth it. I like the bible verses you put in here to. Thank you! Starla J recently posted…Who is in Control? Thanks, Starla! I’m glad they encouraged you! These are great tips! This happens to me alot and it’s okay if you know how to handle it. Asking forgiveness is often overlooked. Thanks for bringing attention to it! Asking for forgiveness is so hard, but I think it’s important to model! I had to do it just this morning, actually! Ha! I love the book Dr. James Dobson wrote, Parenting Isn’t For Cowards! It is so true…where else do I feel as challenged, stretched & ‘on call’ 24/7?? What other profession or calling? Oh I need that book ASAP! It’s amazing how challenging, yet so incredible it is! I’m blessed to be a mom, but some moments are not for the faint of heart! Love this article! The graphic alone drew me in! 🙂 Your tips and His Word were the perfect blend of encouragement. Thanks! Thanks, Kristi! It’s great to hear that other moms struggle with this as well! I feel like that picture at least 4 days of the week. I know that I need to work on giving myself grace, but it is such an ongoing struggle. I COMPLETELY understand! I had one of those days yesterday and know exactly how you feel. Hang in there, mama! I can so relate! Although my years of rearing up children have passed, but being a grandmother to 7 all under the age of 12 I do feel this way on non-school days when I fill in for the sitters! When raising my children is was the old rule of spare the rod, spoil the child, but with my grandchildren I believe in talking with them and some days I want to sit on that floor and cry. I understand, Tina! I think talking is harder than spanking, and requires so much more self-control. Thanks for sharing! What boggles my mind is that some days one of my girls can do something that totally makes me blow my gasket and the next day she can do it again but I can handle it differently. Since learning this I make myself focus on what really sets me off, what am I thinking about, what am I trying to do. It has helped me realize that I can control my Mommy Anger outbursts which leads to less of ALL of us crying on the floor! I SO understand! Moms really do set the tone of the home and it’s important to guard our hearts to be able to minister to our family.